When is the last time you thought about and assessed your underwear? To be perfectly honest, in the past it never crossed my mind. All underwear is the pretty much the same, right? There is no need to waste time thinking about the material, right? Close enough is good enough, right? Given that underwear is something we put on first thing in the morning and wear all day, why not make sure it’s perfect? It’s what we do with other items of clothing. Most of which we wear less often and for shorter periods of time. I’m embarrassed to admit that for a long time I was walking around in uncomfortable underwear. It would always roll up on my quads giving me a front wedgie. It would always constrict my junk – not giving it much freedom to move. It would always give me poor ventilation after the gym and leave my junk sweaty. I assumed this is what every guy that wears underwear experiences and accepted my fate. We have set out to design the most comfortable men’s underwear on the planet. It’s almost as if Facebook read my mind (let’s be honest, one day it will). Intrigued, I clicked the ad and entered their website …. Put simply, Step One bamboo underwear is an Australian company that set out on a mission to create underwear that is f***ing comfy. … Underwear is the first thing you put on in the morning, you spend all day in it so it should be awesome, and quite frankly, our’s is. We’ve cut the BS with undies, we know guys don’t care about them, but life is just better with comfy undies. Like, you think your partner thinks those ‘things’ you call underwear with the holes all over them are attractive? Sit down and listen. They. Are. Not. 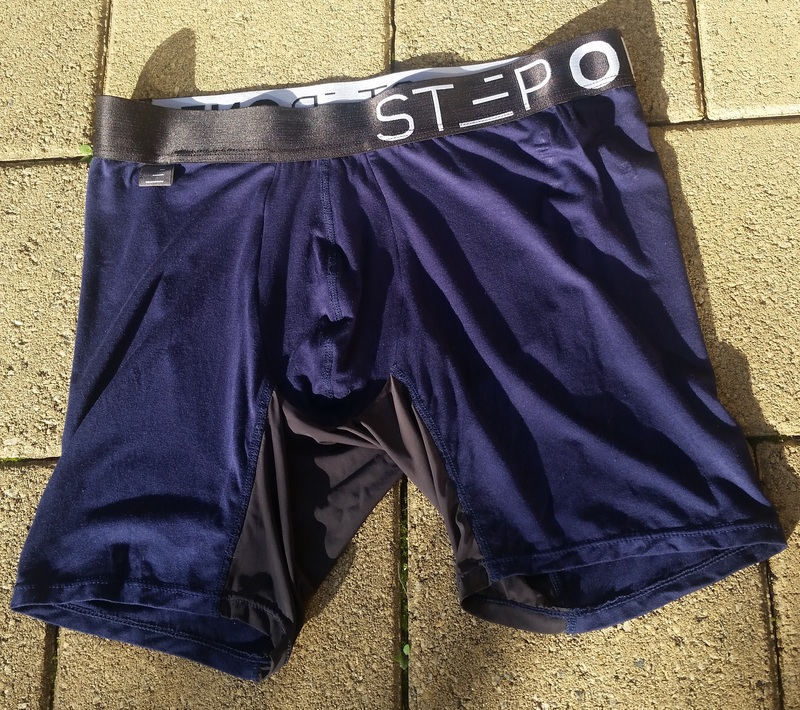 What’s so Special About Step One Bamboo Underwear? There are three reasons why this underwear is different to the rest. The properties of Bamboo are far superior to other materials and given it’s a natural fibre, it breathes incredibly well and has moisture wicking properties keeping you dry and comfortable all day. Also, bamboo grows quickly and uses far less water than cotton; it can take more than 20,000 litres of water to produce 1kg of cotton! Probably THE most important part. Most underwear is flat across the front, squishing your bits against your leg, forcing you to awkwardly readjust yourself. This underwear contains a 3D contoured pouch (made using a hidden elastic strip inside the stitch) that acts like a cup that moulds to your body. Say goodbye to awkward public readjustments for good. One of my biggest gripes with trunk style underwear is that they ride up my leg. This is caused by fabric rubbing against fabric between the legs. 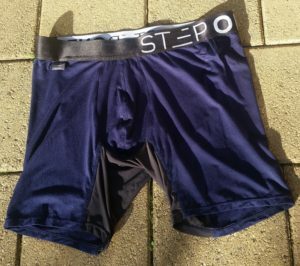 To combat this, Step One has invented the Ultra Glide Lycra panels to the inner thighs of Men’s Boxer Briefs and Trunks. Using a similar material to bike shorts or compression leggings, the friction resistant nature of the fabric prevents chafing and thus stops that annoying ride up. You can get either trunks or boxer briefs. The inseam of the boxer briefs is 3 cm (1 inch) longer than the inseam of the trunks. Which style to get will largely depend on the shape of your legs. If you do a lot of squats and have thick quads then boxer briefs are ideal for you. Otherwise if you have thinner legs then it is recommended you get trunks. I’ve bought trunks in the past that felt a little too tight and were perhaps a bit too short for me (I have thicker legs) and guess what happened? They constantly rolled up my legs and weren’t very comfortable. The most popular (at least in my size, Large, which seems to be sold out often) is black night. The sizing is consistent as all underwear is made by one single factory and sizing is spot on with the other major brands. 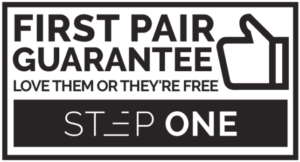 One of the coolest things about Step One is their first pair guarantee. If it doesn’t fit, they will send you another to try, if that doesn’t work, they’ll send another and then another, until they run out of options in which case they will refund your first pair. I don’t know of any other underwear brands that offer that kind of guarantee. Do not wear this underwear swimming. Follow these rules and you’ll have these undies in great shape for a very long time! 1 pair: AUD $29.00 each. 4 pairs: AUD $21.00 each (AUD $84.00 total, 28% savings over 1 pair price). 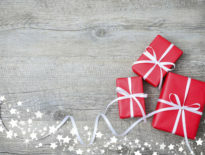 7 pairs: AUD $18.00 each (AUD $126.00 total, 38% savings over 1 pair price). 15 pairs: AUD $15.00 each (AUD $225.00 total, 48% savings over 1 pair price). Compared to other underwear brands in this price category I think this underwear is a steal. Now that you know what you can expect from this underwear, the question is, does it meet expectations? My answer is a solid YES. I bought one pair of the navy blue boxer briefs (size: large; my waist measurement is 34-inches). The claim that they don’t roll up on your thighs. The claim that they have a 3D comfort pouch. The first pair money back guarantee. I’m not going to lie – I was a bit skeptical about these claims before making my purchase but seeing that this underwear has hundreds of 5 star reviews gave me confidence that I wasn’t wasting my money on a poor product. When my pair arrived in the mail I was immediately struck but how soft and smooth the material felt. I put them on the next day and was legitimately impressed at how comfortable they felt. I sat down, expecting the material to roll up my quad, but to my shock and pleasant surprise, it didn’t! There is an elastic band at the bottom of each leg slot which keeps the underwear “stuck” to your leg. The claim of a 3D pouch is also true. Not once did I feel my junk getting pressed uncomfortably into the underwear. I don’t have anything but pleasant things to say about this underwear. I’m not just saying that, I’m being perfectly honest. I can see why this brand has so many positive reviews. Compared to other underwear brands that I own I think Step One Bamboo Underwear reigns supreme. I’m going to order myself more pairs very shorty and slowly replace the sub-par underwear brands that I’ve been enduring for so long. Worst case if you aren’t completely satisfied, simply send them back and get a full refund. Either way, please let me know what you think below. I’m curious to hear if it’s just me that loves this underwear or if you feel the same way too. #sponsored clearly…. 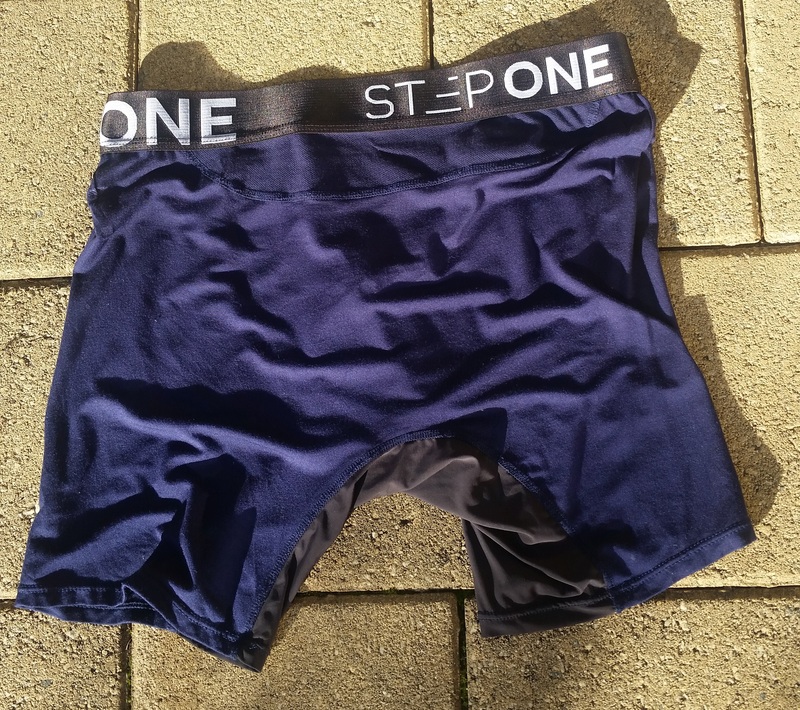 Tried these undies out, genuinely the least comfortable undies I’ve tried in decades… Don’t fall for their marketing. Thanks for taking the time to write a comment. That’s a real shame to hear. You are correct that this article is sponsored but it is by my choice as I honestly really find this underwear to be incredibly comfortable compared to the Bonds brand underwear that I was previously wearing. I hope that you were able to send back your pair of Step One underwear and get a full refund! Are you going to make pants for women as well? I bought two pairs 2X xl for my son for his birthday.He is a power lifter and has huge thighs so I bought the longer trunk.He was thrilled.He said they were the most comfortable pants he’d ever had and fitted perfectly.